Just around the corner is the 2018 NiUG Discovery Conference in Brisbane. The event will be held at the Hotel Grand Chancellor, 23 Leichhardt St Brisbane Qld 4000. NiUG’s Discovery Conference is the largest iMIS user conference in our region, you do not want to miss out! Book Here. Networking with colleagues, exhibitors and presenters at the two social events (Welcome Reception on Wednesday and the Networking Dinner on the Thursday). You can download the full conference program here. 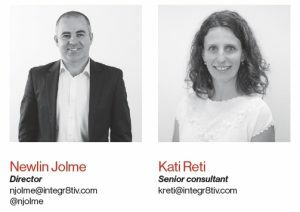 Keep an eye out for Newlin Jolme & Kati Reti as they present 4 different sessions from Wednesday to Friday, you can find their schedule below.